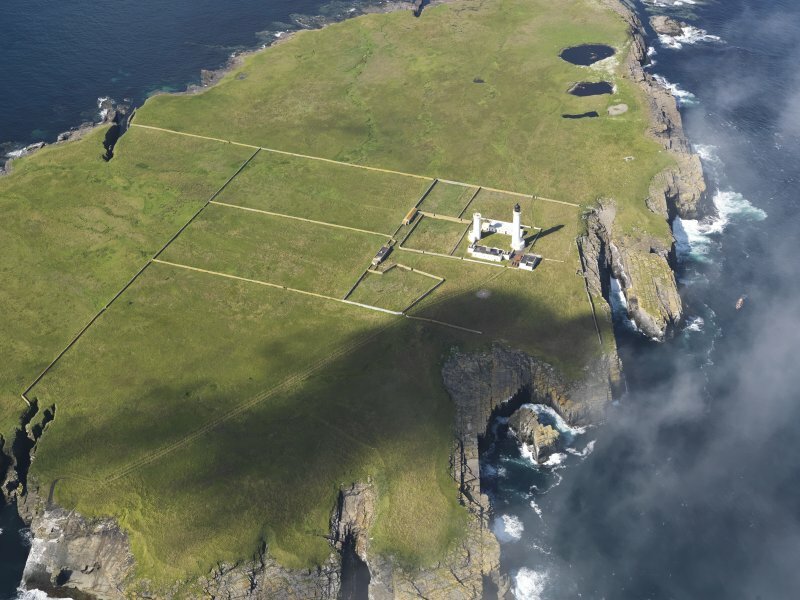 Oblique aerial view of the Muckle Skerry lighthouse, taken from the E.
Oblique aerial view of the Muckle Skerry lighthouse, taken from the ENE. 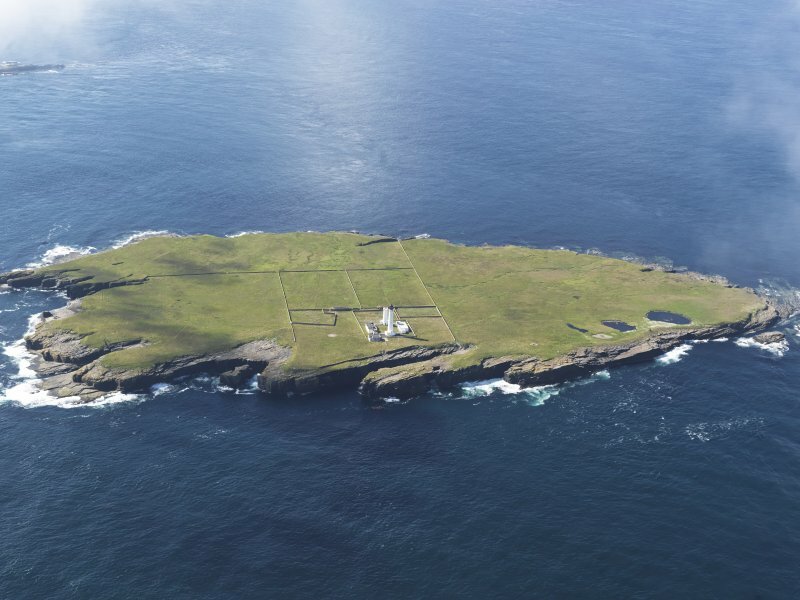 General oblique aerial view of the Muckle Skerry lighthouse, taken from the NE. 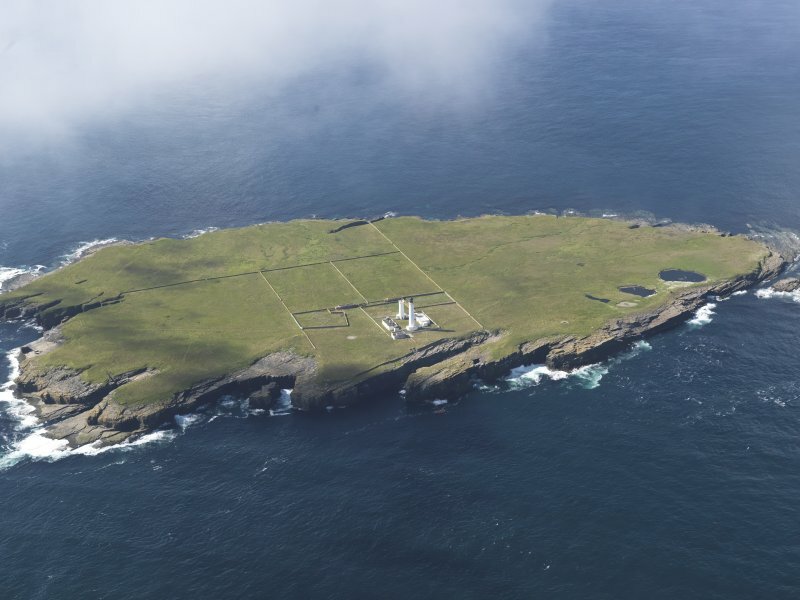 General oblique aerial view of the Muckle Skerry lighthouse, taken from the NNE. 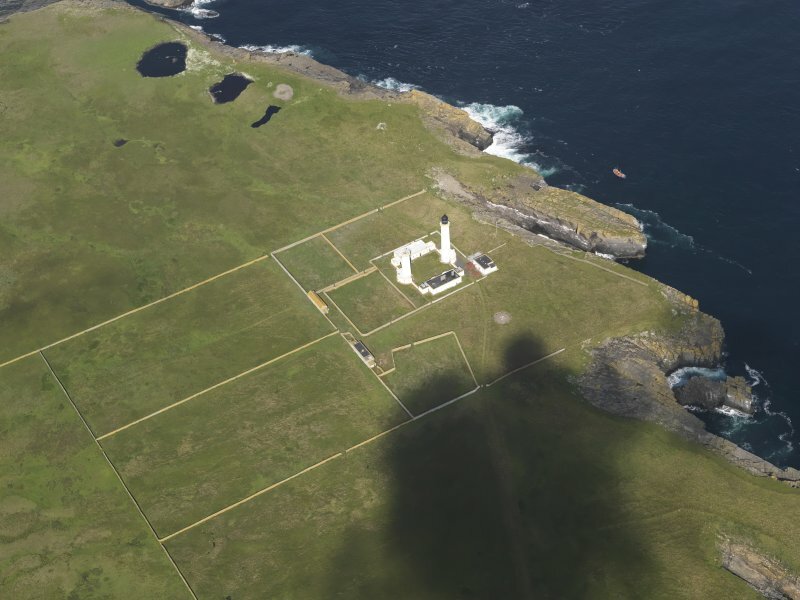 Oblique aerial view of the Muckle Skerry lighthouse, taken from the ESE. 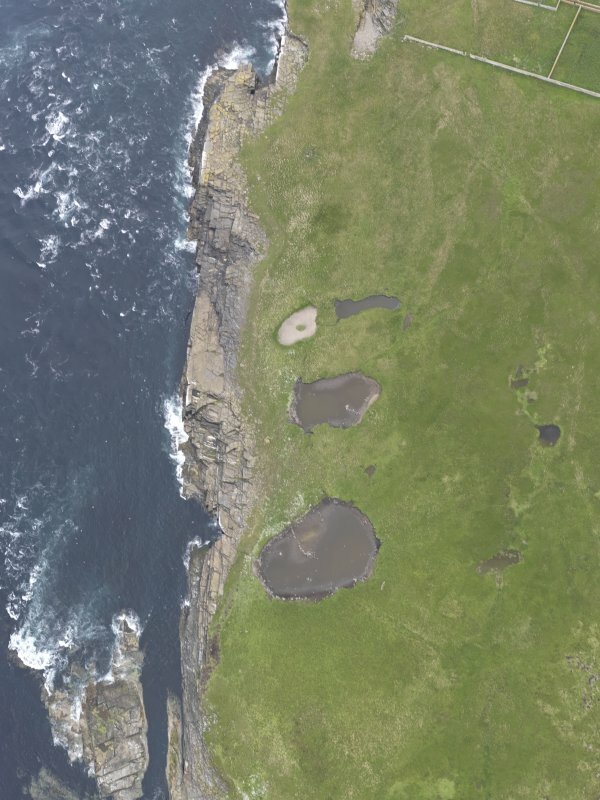 Oblique view of Muckle Skerry, centred on the mounds, looking to the ENE. 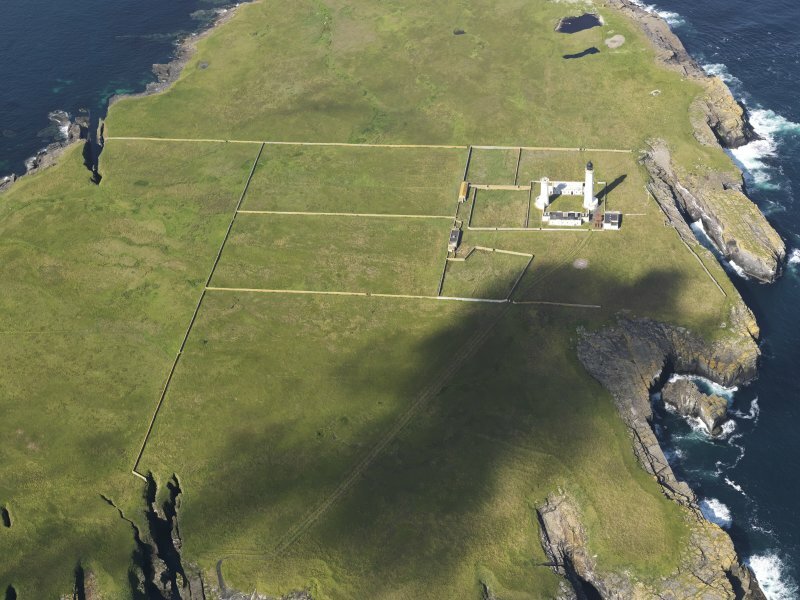 Stone foundations and traces of kitchen midden between the lighthouse enclosure and the pools lying W of it, on Muckle Skerry (information from A Black, lighthouse keeper). At ND 4633 7843 is a circular turf-covered mound about 12.5m in diameter and 1.0m high. The centre has been mutilated exposing a N-S orientated slab on edge 1.4m long and 0.6 high, about 0.7m S of centre. The slab does not appear to be part of a cist and insufficient remains to identify it as part of a chamber. The mound, however, appears to be the remains of a cairn. Several animal bones can be seen in the centre. Black may also be referring to ND47NE 3.